This is the second black limestone tiled floor we have dealt with this year where the tiler struggled to get the right finish. In this case the floor tiles were newly fitted but unfortunately the tiler had decided not to seal the tiles prior to grouting which resulted in grout becoming trapped on the tile surface (aka Grout Haze). 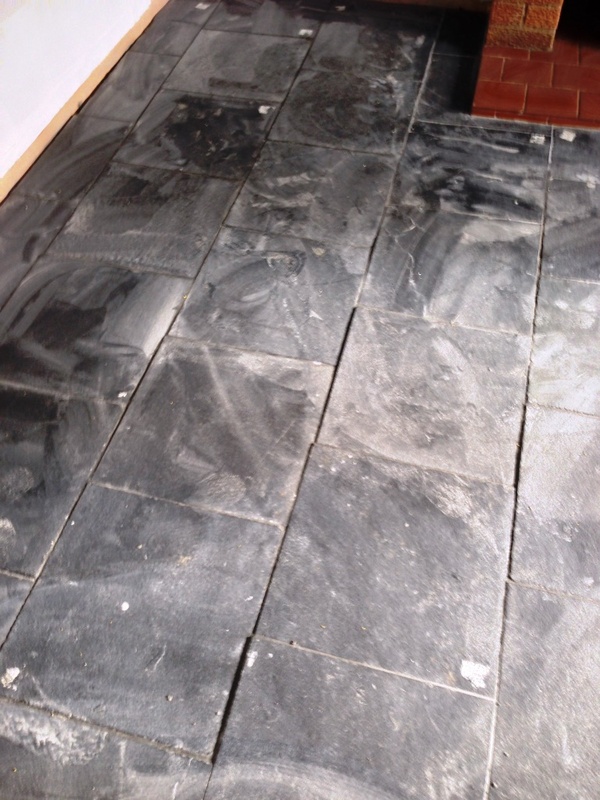 To remedy this problem brick acid was used which removed the grout but this stripped off the black finish turning the tiles grey then in a further attempt to improve the appearance the tiles were covered in boiled linseed oil which just sat on top locking in the grout haze. Linseed oil is a traditional method of sealing stone tiles and is normally used with Terracotta tiles but it’s not ideal and does not have the performance of a modern sealer, certainly in this case it didn’t help at all. To resolve the problems with the floor it had to be fully stripped back to remove the linseed oil so the grout haze problem could be tackled. 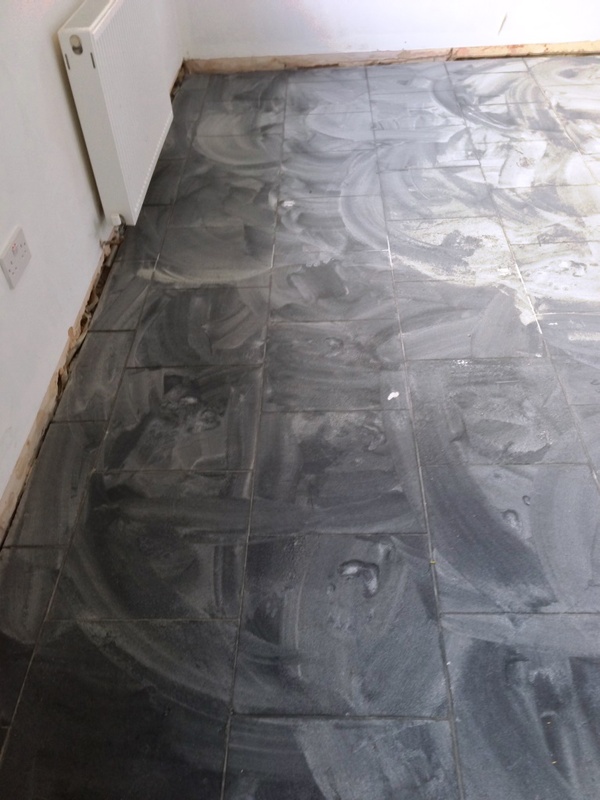 This was done by applying a solution of Tile Doctor Remove and Go which was mopped on to the floor and left to soak in for a while before being scrubbed using a rotary machine fitted with a black pad. 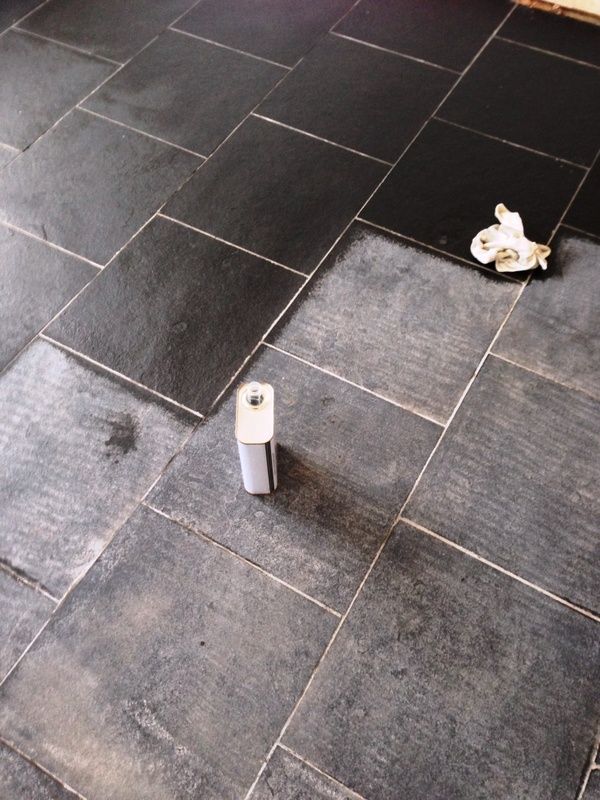 This process lifted the linseed oil off the tiles and was removed using a wet vacuum. Once the Linseed oil was gone I could get to work on the grout haze and for that we have a special product called Grout Clean-Up, it’s a very strong acid based product and normally you would need to be very careful using it on stone as it can damage the stone, in this case however the surface of the Limestone had already been damaged by the brick acid. 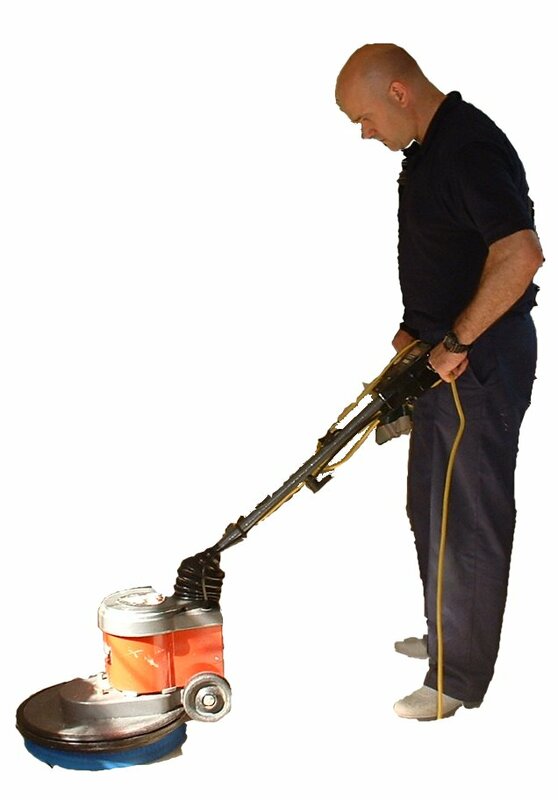 Once the floor was free of coatings and the grout haze problem had been treated I gave the floor a thorough rinse down to make sure all trace of products had been removed from the floor before the next step. There was a lot of Limestone to cover so on the first day I focused on the kitchen and on day two the lounge, hallway and toilet. 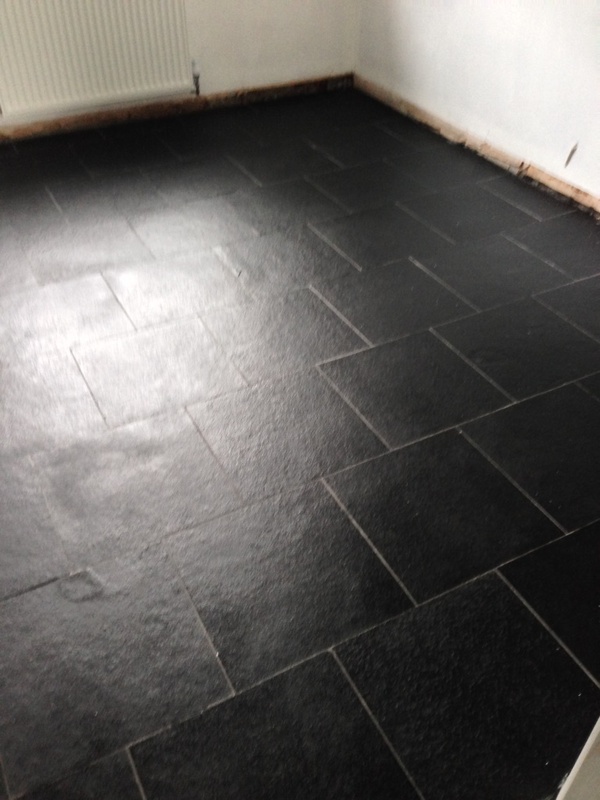 On the third day I went over the whole area applying Tile Doctor Stone Oil to restore the black colour of the Limestone that had been damaged by the brick acid. By the third day the Grout Haze was gone but was still looking washed out. To restore the colour back into the black limestone it was treated with stone oil which as you can see turned the tiles back to their original colour. Stone Oil is an interesting product, if you check the tin it will tell you it’s “an easy to apply pre-polish impregnating sealer, ideal for low porosity stone and terracotta designed to enhance the colour and texture of floors and improve mechanical strength once cured”. 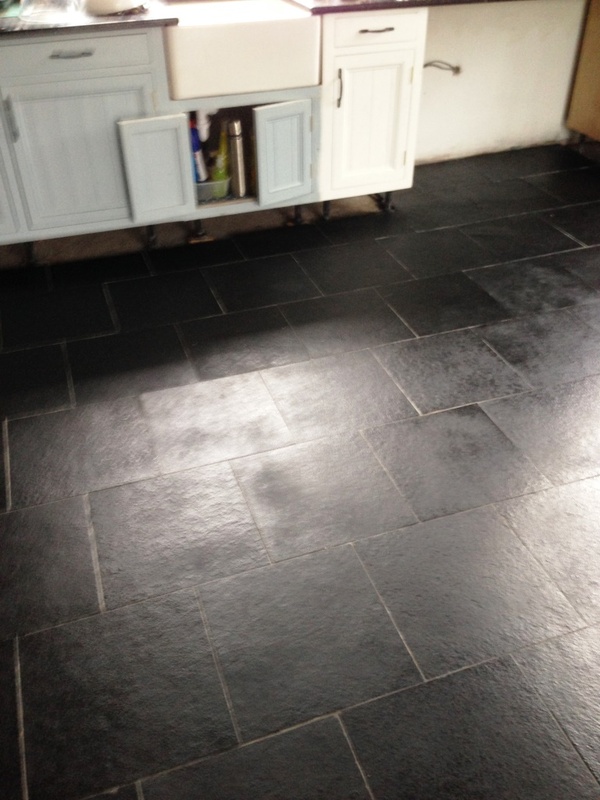 Certainly from the customer’s point of view the floor now looks how it was intended and they were much relieved.